These beautiful, lightweight giraffe earrings are hand painted on thin, etched metal with non-toxic paint. 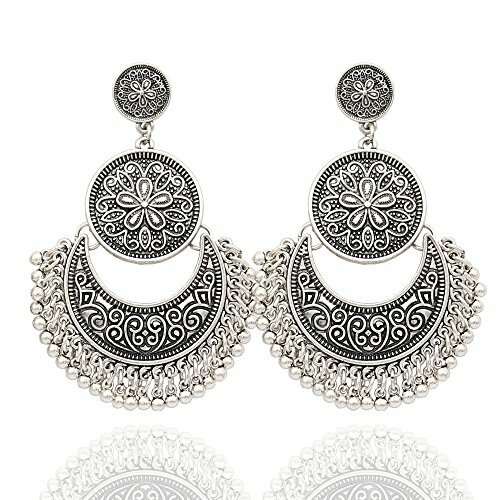 The ear wires are made of 925 sterling silver, perfect for sensitive ears. 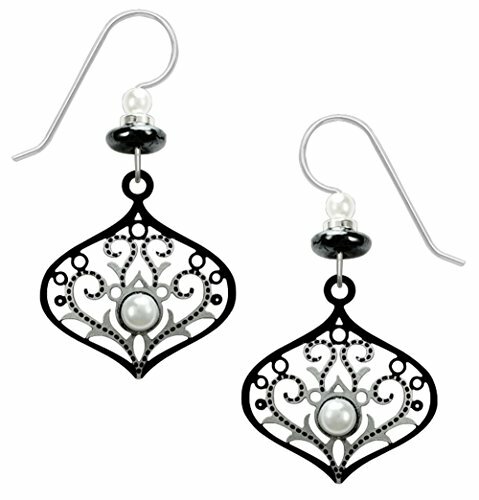 Earrings include a silver accent bead. Handmade in the USA. 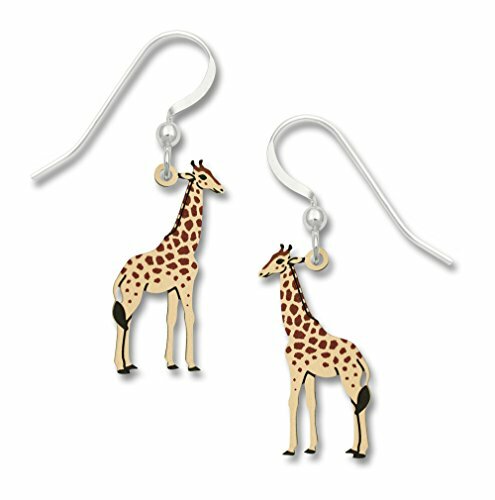 Dimensions: 22mm x 10mm (7/8 x 3/8") and dangle approx 40mm (1 9/16") Giraffe earrings arrive in a gift box. Sienna Sky creates fun, casual jewelry that is comfortable to wear. This whimsical jewelry line is designed to last. Each piece is etched from nickel, silver, brass, or copper and then embellished by hand with a special proprietary process to create a unique look. Styles are complemented with glass or crystals beads. Designer Barbara MacCambridge's passion is to design pieces that emphasize the wearer's unique personality. Her hope is that her whimsical, colorful creations bring a smile to your face and warmth to your heart. Left Hand Studios hand crafts jewelry in America with materials purchased from US companies. The company is committed to environmental responsibility by operating using 100% wind power. 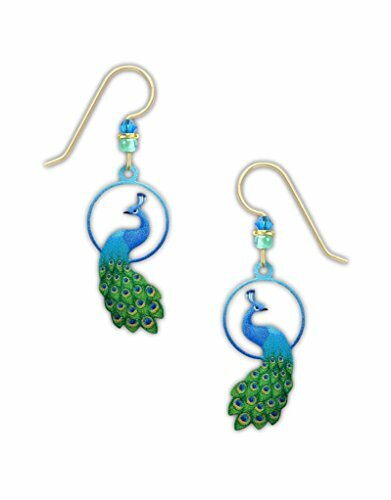 1 & 1/2 " total length, these drop earrings are on flat French style gold-plated nickel-free wires. The main bead is a translucent glass bead with an etched floral design that has been burnished with a goldtone finish. The bead is accented with Swarovski crystals in Amethyst purple color on top and bottom, separates with tiny goldtone daisy spacers. The photos show the earrings in two types of lighting or from different angles to show the true color. The first photo is usually a cool tone light (like outdoors) the second, warm toned (like incandescent indoor lighting). Adajio by Sienna Sky is inspired by diverse imagery from ancient art and contemporary European and Asian motifs. Each item is infused with color and texture to create a unique visual appeal. What makes these earrings special (and a perfect gift)? Designed in Colorado and created from US materials. Supports US made products. Hand made - each piece is etched in metal and created by hand to create a unique look. Made of non-toxic, hypoallergenic and environmentally friendly materials. 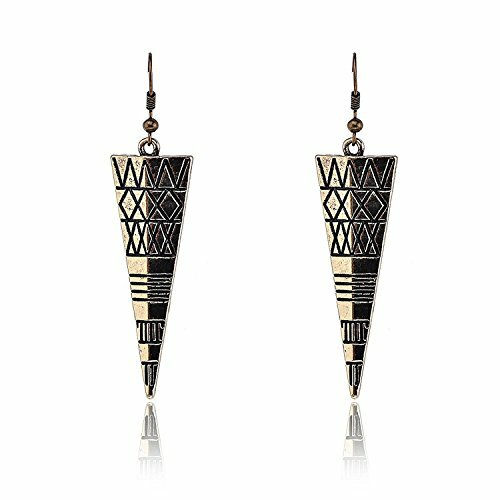 Lightweight and made to last earrings that look great at the office AND "out on the town". All together a perfect gift (for yourself and your loved ones) that represents your creativity, your uniqueness, and your values! Bring a smile to your face and warm your heart and your home with these lovely earrings! 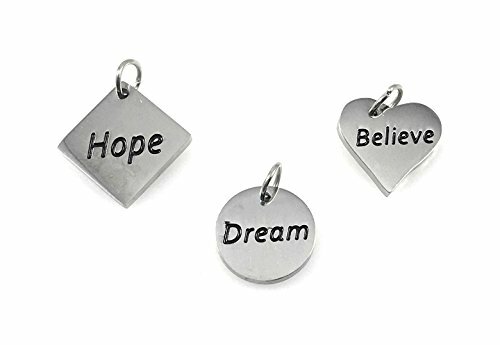 Hope Dream Believe Charms in long lasting stainless steel can either be added to any expandable bangle bracelet by opening the included jump rings or simply sliding them onto any necklace chain. 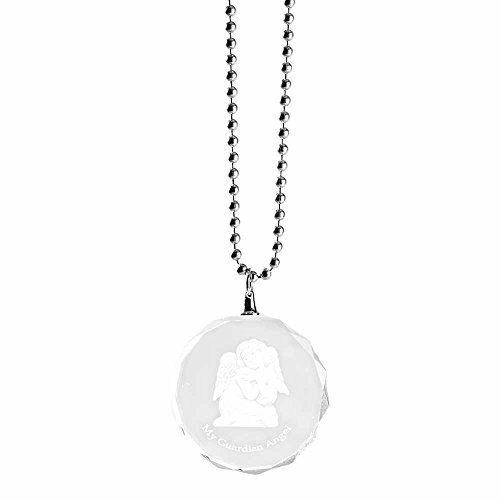 The charms all measure 11mm diameter and are etched not lasered on one side for long wear. 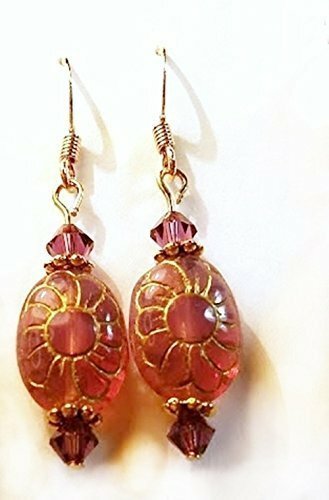 Looking for more Etched Dangle similar ideas? Try to explore these searches: Tilt Wheel Laser, Uncut Insert, and Aneroid Sphygmomanometer Blue Nylon Cuff. Look at latest related video about Etched Dangle. Shopwizion.com is the smartest way for online shopping: compare prices of leading online shops for best deals around the web. 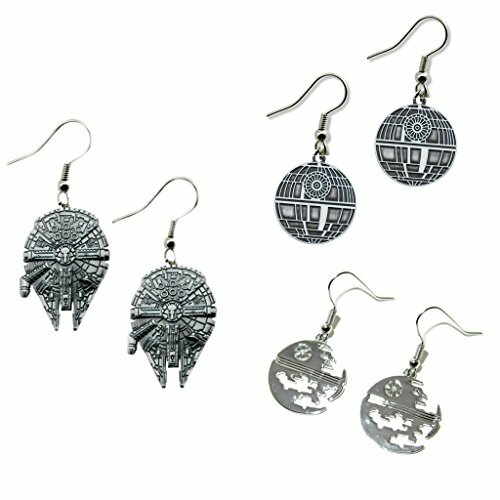 Don't miss TOP Etched Dangle deals, updated daily.